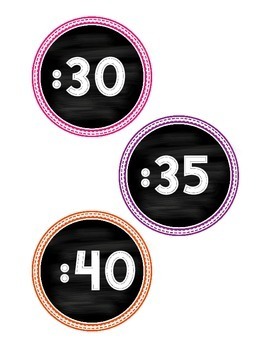 Use these clock labels around your classroom clock to help your students count by fives as they learn to differentiate between the hour and minute hands. Chalkboard themed with bright borders. 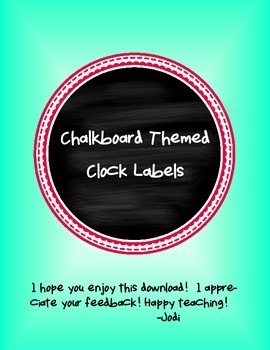 I hope you enjoy your download!